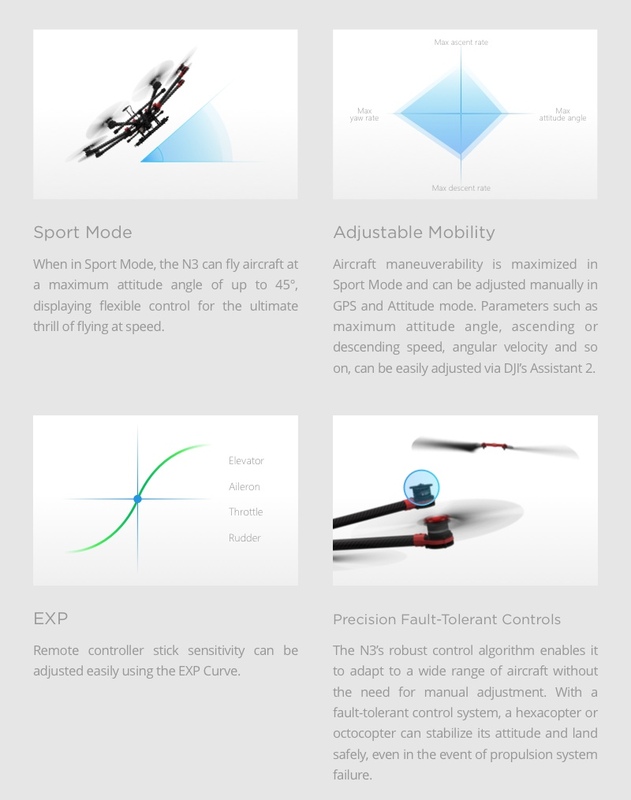 The N3 is a third generation NAZA flight control system designed for serious multi-rotor enthusiasts. 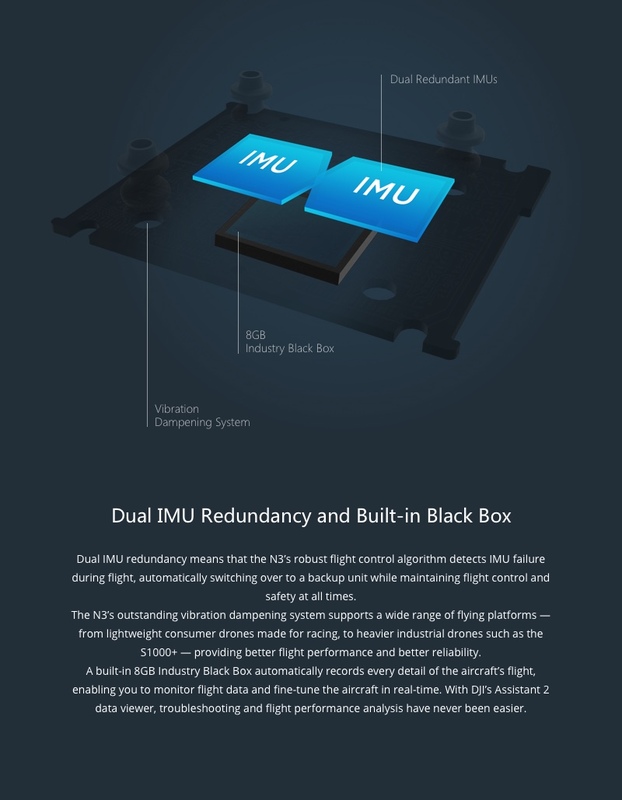 It is a reliable and robust system with double IMUSs and can be expanded with external high-performance sensors. 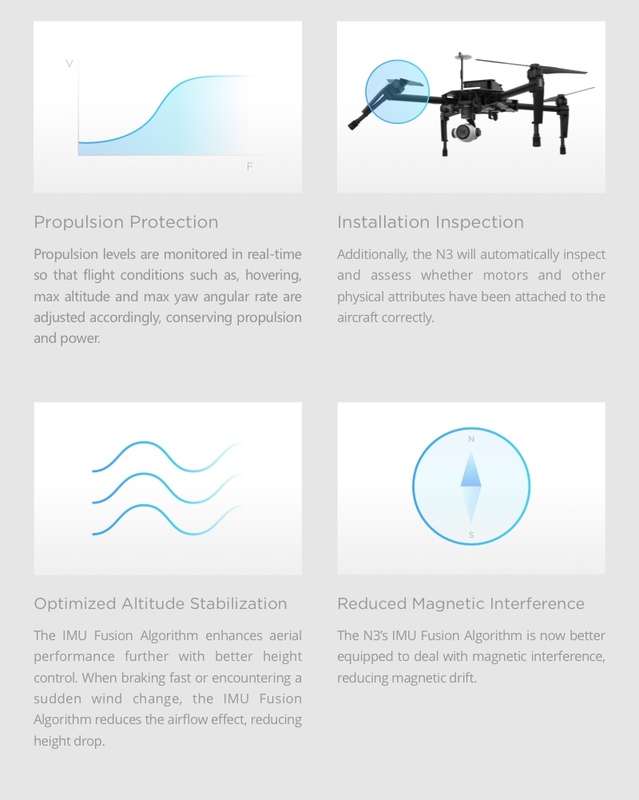 It uses advanced control algorithms and sensor fusion algorithms to maintain complete stability and integrity of the aerial system. 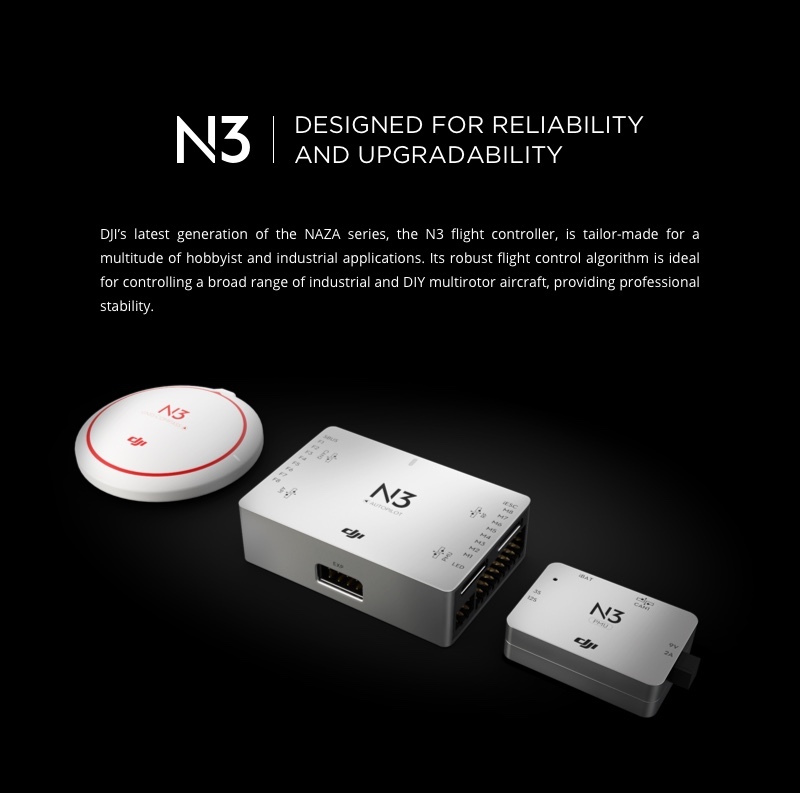 The N3 is fully compatible with the DJI Onboard and Mobile SDKs and other DJI products, allowing developers to optimize the system for specific applications. 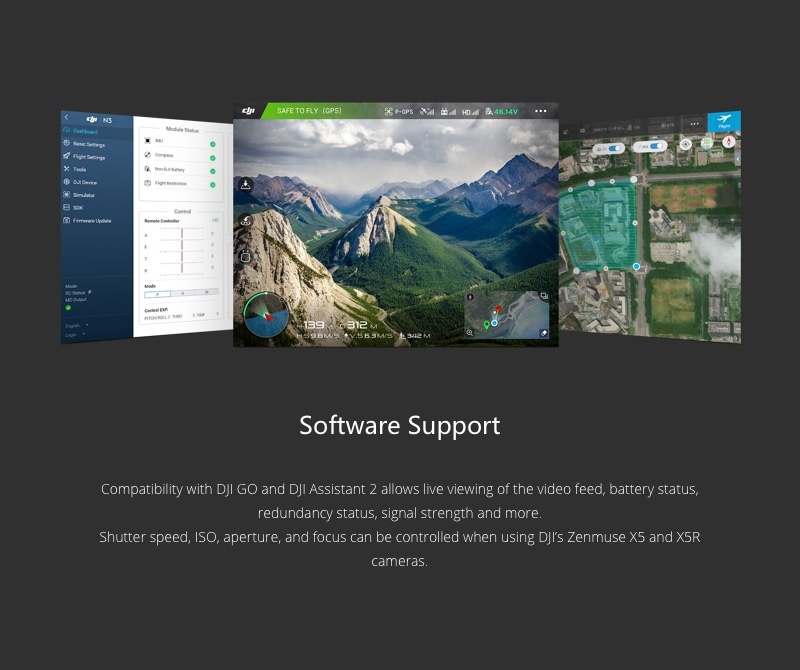 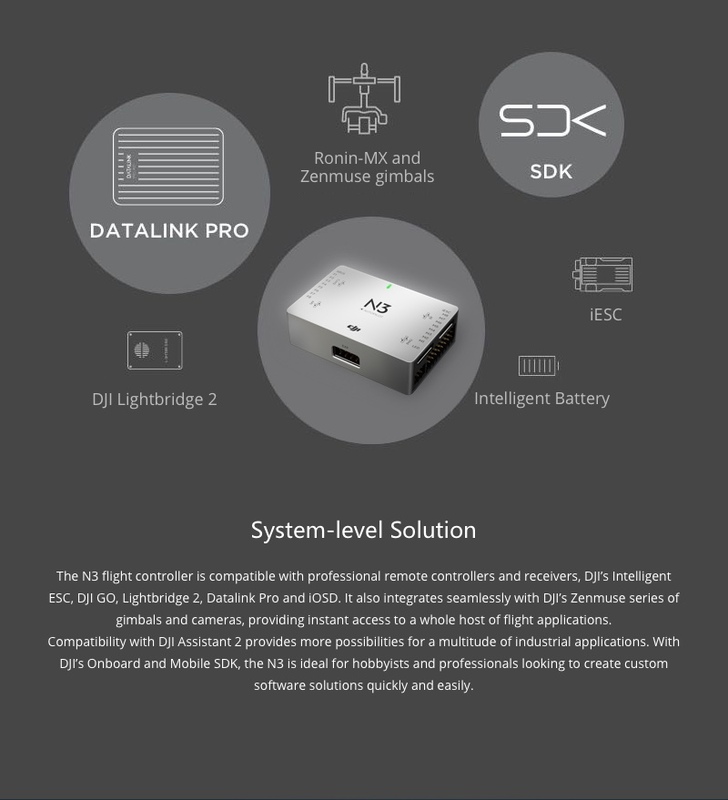 When used with DJI Lightbridge 2, it provides direct access to DJI GO features including Intelligent Flight Modes. 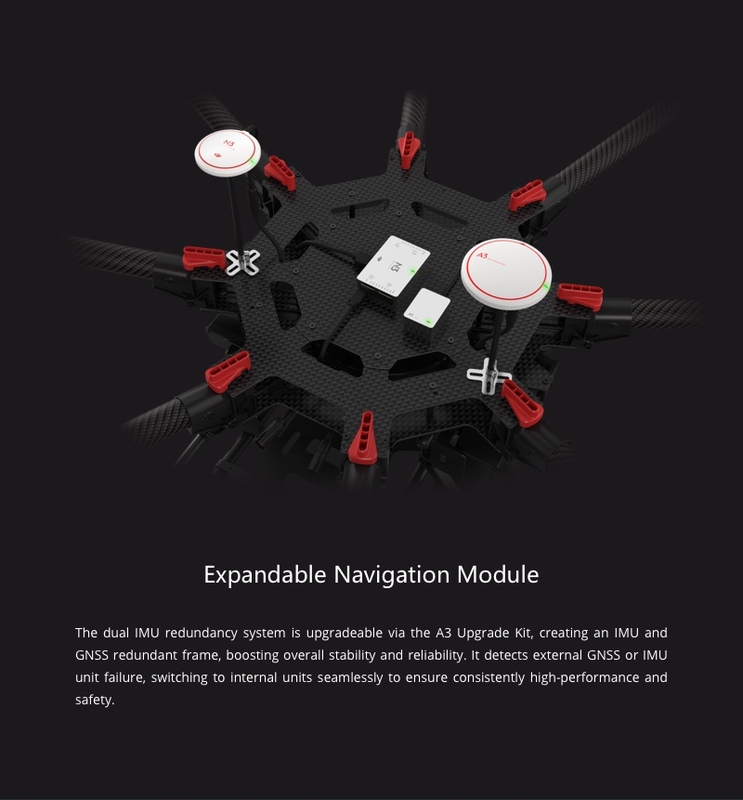 With all essential components integrated into the N3 flight controller (including double IMUs, barometer and data recorder), the device is powerful and highly compact to work together with the GNSS-Compass module (including GPS and GLONASS), PMU module and LED module.